Special Springtime Sale: Pyrex Color Ware Favorites! 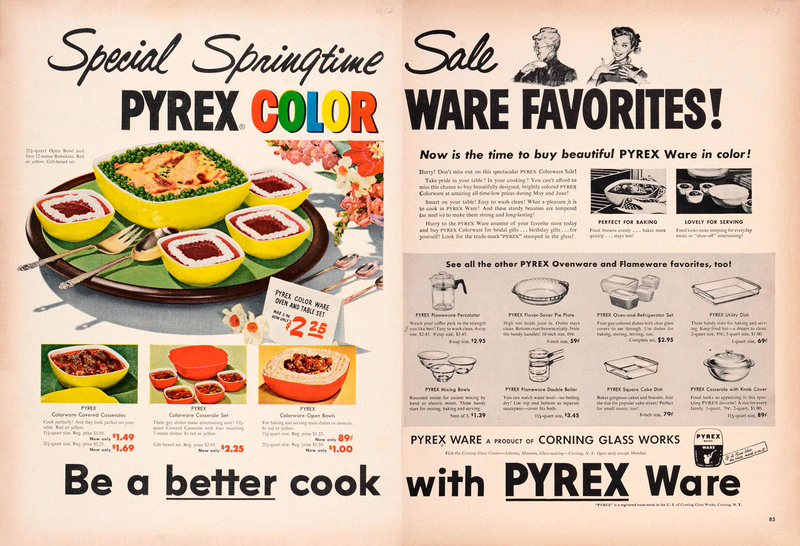 “Special Springtime Sale: Pyrex Color Ware Favorites!” Corning Glass Works, Published in unknown periodical, 1952. CMGL 141122. Engraved Pyrex Casserole with Lid and Holder, glass by Corning Glass Works, made in Corning, NY, metal by Faberware, made in New York, probably 1916-1925. 2007.4.76.